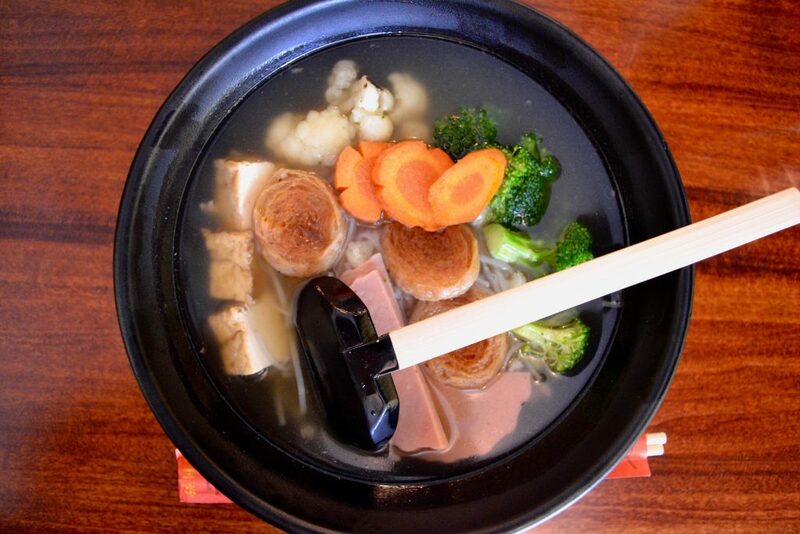 The menu focuses on healthy Asian eats inspired by Buddhist monk tradition. The owners of Lalo Chino Latino and the former Neuf, Huit Craft BBQ, and Dope! Noodle & Dumpling (Little Huit now operates on Court Street where Dope! was formerly located), are putting a healthy twist on Asian cuisine with their new restaurant Crzy Monk Asian. 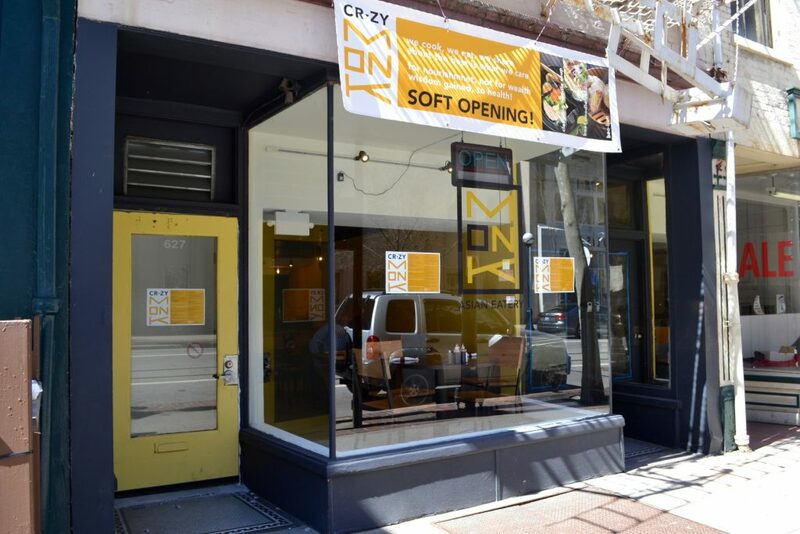 Just one block away from Lalo on Main Street, in the former Orient Chinese-Vietnamese space, Crzy Monk is offering more nutritious options for downtown’s lunch crowd. Each dish is centered around balance. From ingredient combinations to portion sizes to a variety of proteins, Crzy Monk’s menu is suitable for vegans, vegetarians, and meat-eaters alike. Its name references the traditional Buddhist monk vegetarian diet; but owner Tobias Harris added the “Crzy” to keep it light-hearted. Straying from Buddhist monk tradition, the restaurant also serves meat and alcohol. “Here, everyday people can eat a little bit better,” Harris says. 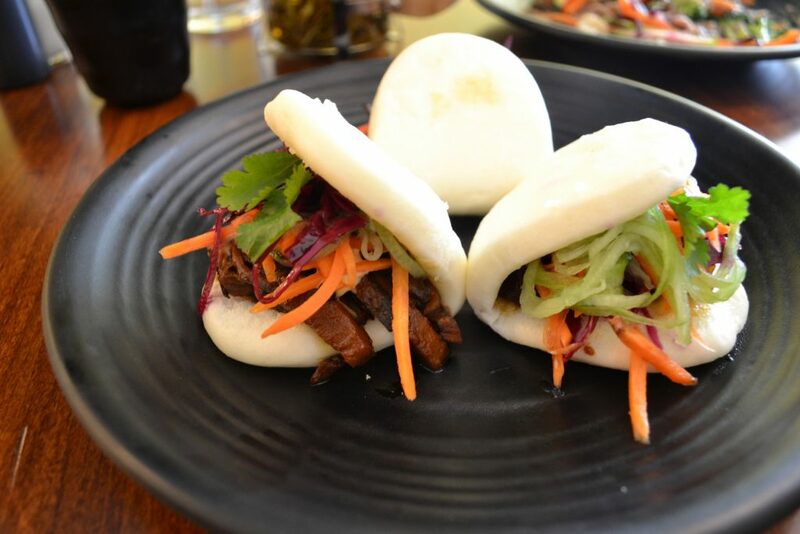 The menu is split into four categories: dumplings, bao buns, soups and salads, and noodle and rice bowls. We tried the Super Monk Noodles, a buckwheat soba noodle dish with stir-fried zucchini, carrots, broccoli, bean sprouts, shiitake mushrooms, and onion. The soft noodles paired well with the crunch of the veggies, and the dish was pleasantly light yet filling. Harris says Crzy Monk’s food is his own translation of traditional Asian cuisine. Bao buns, dumplings, noodles, and rice are Asian cuisine staples, but Crzy Monk reinvents them with experimental flavors and techniques. Like in its Cleansing Noodle Soup, made with a honeydew vegetable broth with vegan mock ham, tofu, cauliflower, broccoli, daikon, and carrots. Making dishes with vegan proteins that don’t sacrifice in flavor can be difficult, but the restaurant masters it here. Crzy Monk is open for lunch 11 a.m.–3 p.m. Monday–Friday and noon–3 p.m. Saturday. As the restaurant gains traction, the owner says, he plans to extend service into dinner hours.